Like a ghost reappearing two years after you thought the house was no longer haunted, a shadowy figure appeared in the mail this past week. I’m not sure if you want your mystery solved or not. Do you? Your very smart and Google literate friend found me, Erika Page. My family, Steve, Garrett and Landon live in Wisconsin. The kids grow every year, what a fun way to show it off than in a Christmas card to dear friends. I indeed have a wonderful friend, Michelle Hunter married to Tim Hunter who lives in Seattle. Ironically, I’ve never met Michelle’s husband or you. Now I know that there are two of you out there. I hope you’re happy to have a Christmas mystery solved. Perhaps I’ll keep you on the ol’ Christmas list though, no one gets nearly enough snail mail these days. Merry Christmas from the Pages in Wisconsin. So, mystery solved. But that was two years ago. 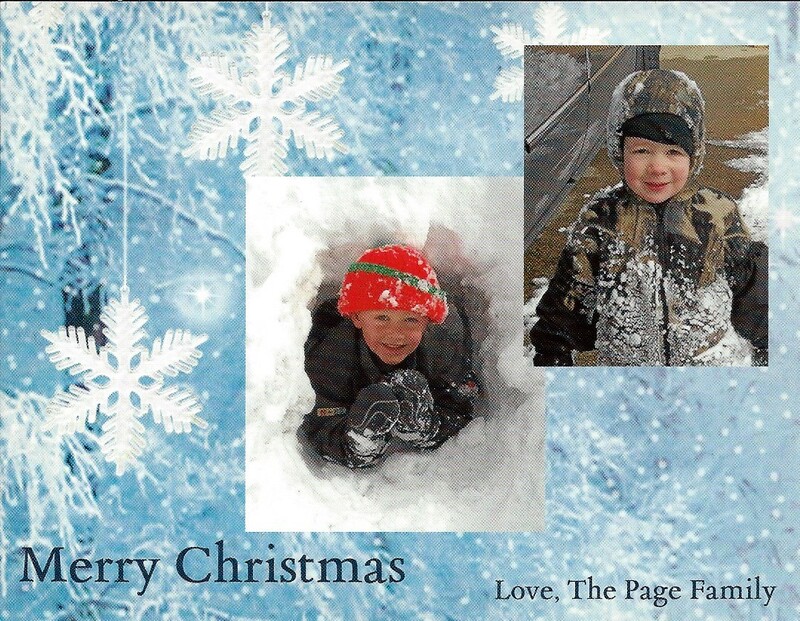 This past week, we received another Christmas greeting from the Pages. Some long-time friends have a daughter who went to school in Wisconsin. I thought she had possibly settled down there. She did not. Her name is Erika. She has a brother named Garrett. The Erika who sends us cards has a son named Garrett. In the annual family update, she just got a job at Redeemers Lutheran Church in Wisconsin. Victoria and I were married at Our Redeemers Church in Seattle. No matter. Here it is, the final week in February and let us remember the most important thing: Merry Christmas from the Pages in Wisconsin.